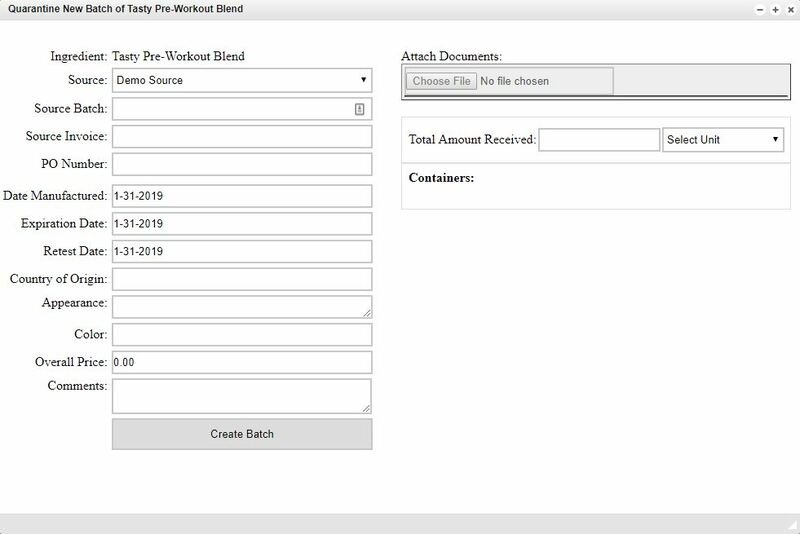 The Quarantine New Batch window allows you to input all relevant data needed to successfully quarantine an available ingredient. Although some fields will automatically be updated, it is important to be thorough while completing the information on this screen to avoid any issues that may arise later. This includes ensuring the correct amounts are included in the Overall Price and Total Amount Received fields. Once all of the information fields have been completed and checked for accuracy, click the Create Batch button to quarantine the new batch.